He was the Laird of the Holm of Dalquairn & Glencrosh. John who succeeded to Holm. Anne married a Mr. J. Barber of Tererran. 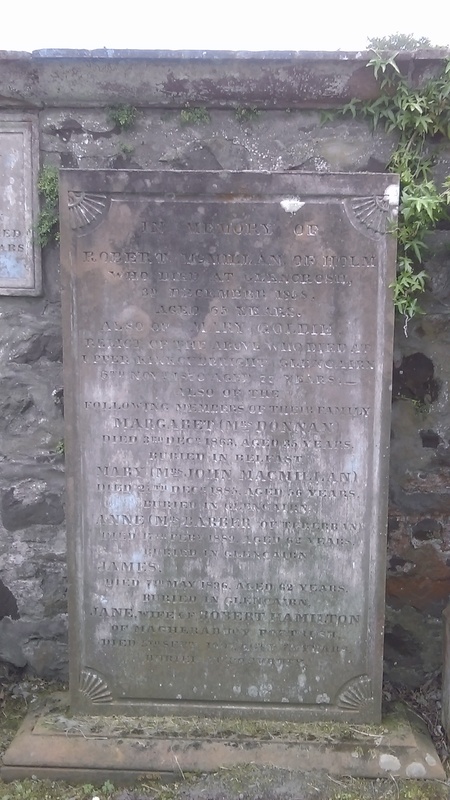 Margaret married a Captain Donnan. 6th Nov 1870 aged 77 years.